The leaves have changed colors creating a picturesque scene. As they fall, they provide a soundtrack for our every step. The air is crisp causing us to pull our jackets a little tighter. Summer is gone and autumn is in full swing, heralding the holiday season. It is a time to give thanks and celebrate family, friends, and yes, even food. As we look toward the holidays, it can be easy to be discouraged. So often, Thanksgiving feels like a time when we have to give up on our health goals because of all the meals, snacks, and sweets. Instead, Thanksgiving should be a time of thankfulness for all the things God has blessed us with, including our health! 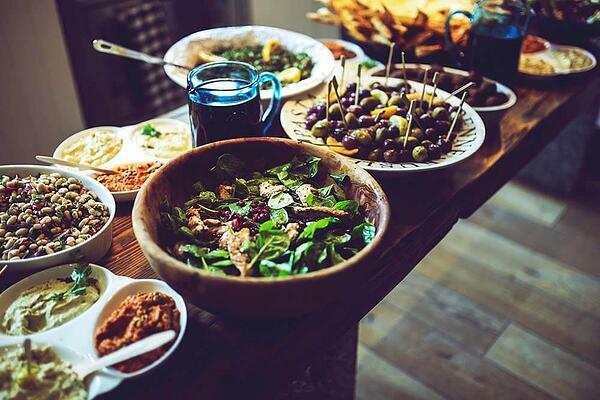 Give these recipes a try and prove that Thanksgiving doesn’t have to ruin your health plans! A Thanksgiving spread just wouldn’t be the same without mashed potatoes and gravy. These mashed potatoes incorporate cauliflower, a cruciferous powerhouse. Using cauliflower increases the nutrient density of this side dish. Up the flavor and nutrition with a creamy mushroom gravy. Roasting is one of the easiest ways to bring out the vibrant flavors of vegetables. It can bring out a vegetable’s natural sweetness. Roast a variety of root vegetables such as carrots, parsnips, sweet potatoes, or beets with Brussel sprouts and onions for a rich and nutritious side. It just wouldn’t be Thanksgiving without stuffing! However, with so many of your family and friends on paleo, keto, or low carb diets, who will eat it? Let everyone dig into stuffing this year with cauliflower stuffing! If you’re like me, green bean casserole with condensed cream of mushroom soup has always been a Thanksgiving staple. 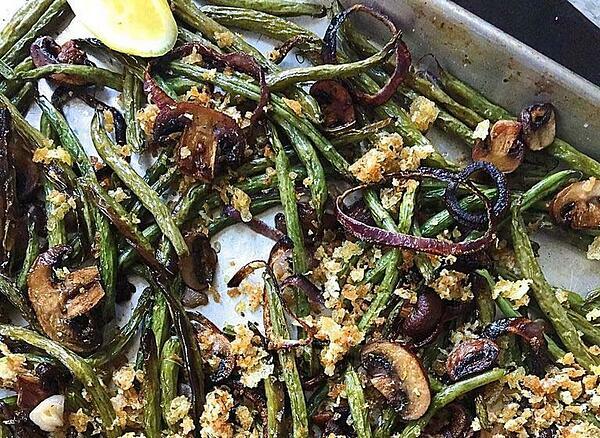 As Reb Tevye from Fiddler on the Roof would say, it’s “Tradition!” Up your green bean game with this roasted recipe. I love winter squash at Thanksgiving, but after all that cooking I dread peeling butternut or scooping out an acorn squash. So instead I use Delicata squash. The peel is so thin and tender no peeling is necessary! Simply slice, roast, and toss with kale for a delicious holiday salad. Cranberry sauce is a traditional accoutrement to the Thanksgiving feast. Take a cue from Indian cuisine and serve up this cranberry chutney or relish on the side instead of the traditional canned jelly. Spice it up to your liking with seasonings like ginger, cinnamon, and cardamom. Thanksgiving entrées should be savory and satisfying. But let’s face it, who has room for a big serving after all those satisfying sides? This year maybe save a turkey and try these nourishing plant-based casseroles. Dessert. The course we have been waiting for the entire meal! Decadent and divine, just one bite is never enough. To enjoy dessert without a dash of guilt, make one of these pies and stick to mini servings. Try using a muffin tin if you don’t have mini pie tins. This Thanksgiving, stay grateful for the life God has given you and honor Him with your health.